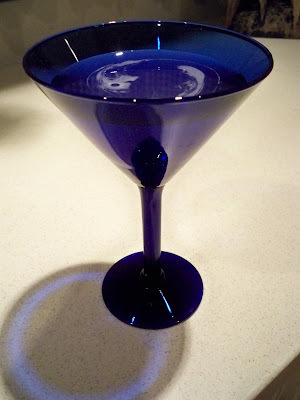 At the risk of convincing you that I’ve reverted to a diet of smart, sophisticated cocktails, I simply couldn’t let the old year pass away without a sip of the Gin and Fresca Cocktail. You didn’t think I would forget this one, did you, Lydia? It all began with a bit of a challenge, or perhaps a campaign, to secure the rightful place of Fresca in Lydia’s Perfect Pantry. Fresca clearly has shelf space in the legendary Rhode Island pantry, as Lydia is a longtime fan of the singular grapefruit soda. But, “official designation” in the Perfect Pantry requires that the item be used as an ingredient in at least three recipes (this rule, if enforced in my home, would do a lot to clear out my refrigerator and pantry …), and Lydia felt that Fresca was perhaps just not versatile enough. Well, I love a challenge and served up three recipes, including Fresca Cake (a classic soda pop confection), Fresca Jell-O Salad (suburban cookery magic) and The Gin and Fresca Cocktail. The result was a full post devoted to Fresca, written in Lydia’s incomparable style, and numerous Fresca fans clamoring for the beverage’s full membership in the Perfect Pantry. While I’m not positive if the official proclamation has been delivered, there was clearly effervescent support throughout the blogosphere. Who could resist? (I did have to make a trip to the grocery store, since I rarely keep carbonated beverages in house. But, I had to pick up some staples, like milk, eggs and Marshmallow Fluff.) The recipe is simple. Equal parts of gin and Fresca mixed over ice and strained into a glass. 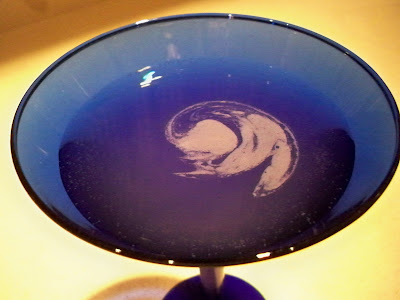 The cocktail has a cool and stylish, wintry appearance. The taste is tart, clean, crisp and woodsy, with just a hint of juniper. 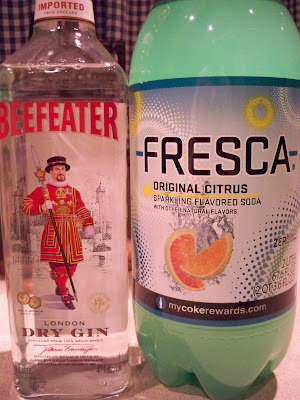 Of course, now I have an entire two-liter bottle of Fresca to consume, and unless I want to imbibe Gin and Fresca Cocktails from now until August, I’ll need an alternative plan. Could the Fresca Jello Salad be far behind? How fun! I'm so glad you tried it. When I drank this at Lake Powell it was more like a big glass of Fresca over ice with a couple of ounces of gin. But I never was much of a drinker, and your version is so much more New York chic! I confess, I've been wavering about Fresca. In or out of The Perfect Pantry... I'm leaning toward "in", at the moment, because I can't imagine life without it. And because the Fresca cake is worth making again. And because I've been thinking about Fresca cookies, too, and cupcakes with grapefruit flavored icing. And now you see one more thing Kalyn and I have in common -- a love of sugar-free carbonated beverages. After all, you need something to wash down the Fluff! Fresca is one of my top favorite carbonated beverages, and we usually have some around. Using it as a mixer is a great idea, a little fruity fiz with your gin! Hi Kalyn - so the Fluff thing didn't strike you as unusual, but the soda issue jumped out? I more or less stopped soda quite a few years ago - I try and stick to natural beverages -- water, coffee, orange juice and wine! Lydia - I'm still campaigning for "in!" And I can't wait to try those Fresca cupcakes! Andrea - I'm thinking of experimenting with citron vodka as well. Veron - It is a worthy experiment! I thought that was my sister's own concotion! Or is it the natural (?) evolution of the Tom Collins? just found your blog via twitter references. it's great.